What causes Parkinson’s? Parkinson’s is the 2nd most common neurodegenerative disorder in the elderly population. We have learned little about the cause (etiology) of Parkinson’s although we know much about its chapter/story (pathogenesis). Most cases of Parkinson’s occur sporadically and are usually of unknown cause (except the genetic mutations that typically lead to early-onset Parkinson’s). The graph below presents the complicated chapter/story of Parkinson’s (most are depicted as double-headed arrows to suggest possible reversibility of the effect). This graph also offers clues to the complexity of the many ‘features’ that can be disrupted to promote neuronal cell death in Parkinson’s. Furthermore, the graph implies a multi-pronged therapeutic (or intervention) strategy might be needed to halt or slow Parkinson’s progression. Each of these pathogenic-factors will be described in future posts; here I start with the immune system. Brief overview of the immune system: Our immune system is designed to protect us from infection and injury. There are two parts of the overall immune system, innate immunity and adaptive (or acquired) immunity. We are born with the innate immune system and it requires no education or training to act on foreign substances. Key cellular components of innate immunity are the white blood cells named neutrophils (also including eosinophils and basophils) and natural killer cells. The system named Complement is a group of blood-borne proteins, which when activated, assists in destroying foreign substances. Our natural host barriers like skin and body components including tears, sweat, mucus, urine and feces are also part of innate immunity. The adaptive immune system requires an education for its powerful action. However, following this education comes a memory that re-engages the cells of adaptive immunity when the foreign substance is encountered again. 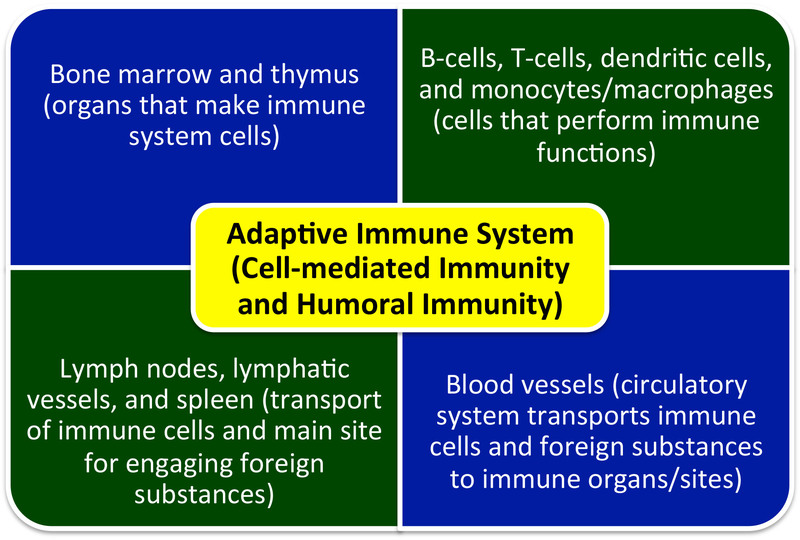 There are two parts to the adaptive immune system, humoral immunity and cell-mediated immunity. Humoral immunity describes our ability to create antibodies to antigens, and the B-cell (plasma cell) is the cell that produces antibodies. Cell-mediated immunity describes our ability to use T-cells to attack foreign substances, including tumor cells. Either the absence of immune cells or the aberrant action of immune cells on the host lead to immune deficiency syndromes and immune-mediated diseases, respectively. There are many important interdependent functions for B- and T-cells that go beyond this simple overview. The supporting cast for the adaptive immune system requires organs to synthesize B- and T-cells (bone marrow and thymus, respectively); regions to process, concentrate and engage foreign substances (spleen and lymph nodes); and conduits to transport immune cells and foreign substances from point-to-point (lymphatic vessels and blood vessels). The schematic below summarizes the complex components of the adaptive immune system. 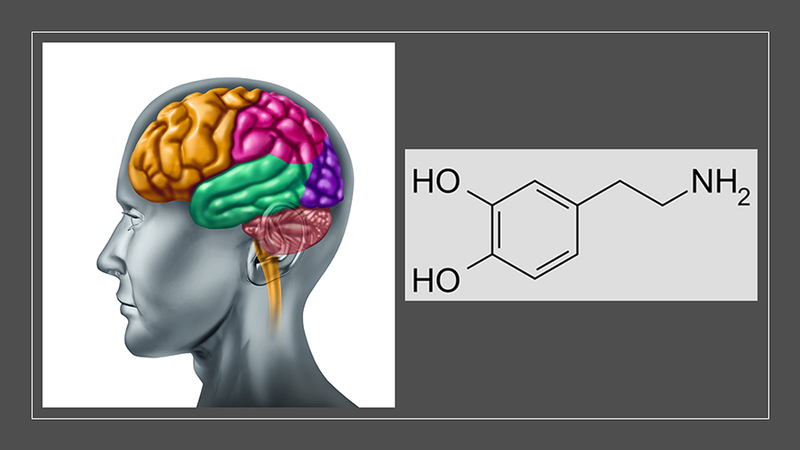 New evidence that the brain and immune system are connected: For many years, the dogma was that the central nervous system (CNS) was an “immune privileged” site, which meant that immune cells could not enter or rarely ventured into this area. This implied that the CNS and immune system had little to no interaction. Immune cells are known to promote inflammation. We now know that immune cells cause neuroinflammation, and could be a component in the progression of neurodegenerative diseases including Alzheimer’s, multiple sclerosis, ALS, and Parkinson’s. An important unanswered question remained; how do peripheral immune system cells enter the CNS to promote pathological (disease-promoting) processes? 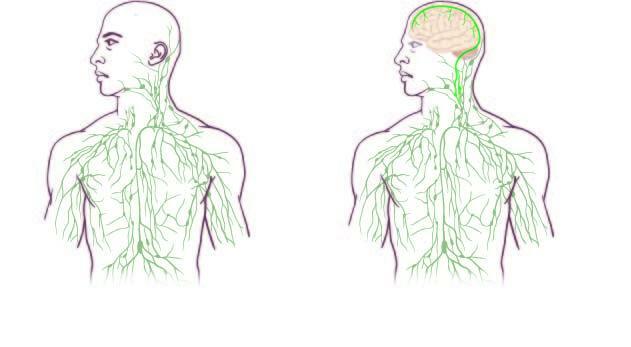 They discovered lymphatic vessels never before detected in the human brain, and these lymphatic vessels are connected to cervical (neck region) lymph nodes/lymphatic vessels. The drawing below depicts these lymphatic vessels (from http://www.eurekalert.org/pub_releases/2015-06/uovh-mlf052915.php). “Missing link found between brain, immune system — with major disease implications” (http://www.eurekalert.org/pub_releases/2015-06/uovh-mlf052915.php): “In a stunning discovery that overturns decades of textbook teaching, researchers at the University of Virginia (UVA) School of Medicine have determined that the brain is directly connected to the immune system by vessels previously thought not to exist. That such vessels could have escaped detection when the lymphatic system has been so thoroughly mapped throughout the body is surprising on its own, but the true significance of the discovery lies in the effects it could have on the study and treatment of neurological diseases ranging from autism to Alzheimer’s disease to multiple sclerosis. 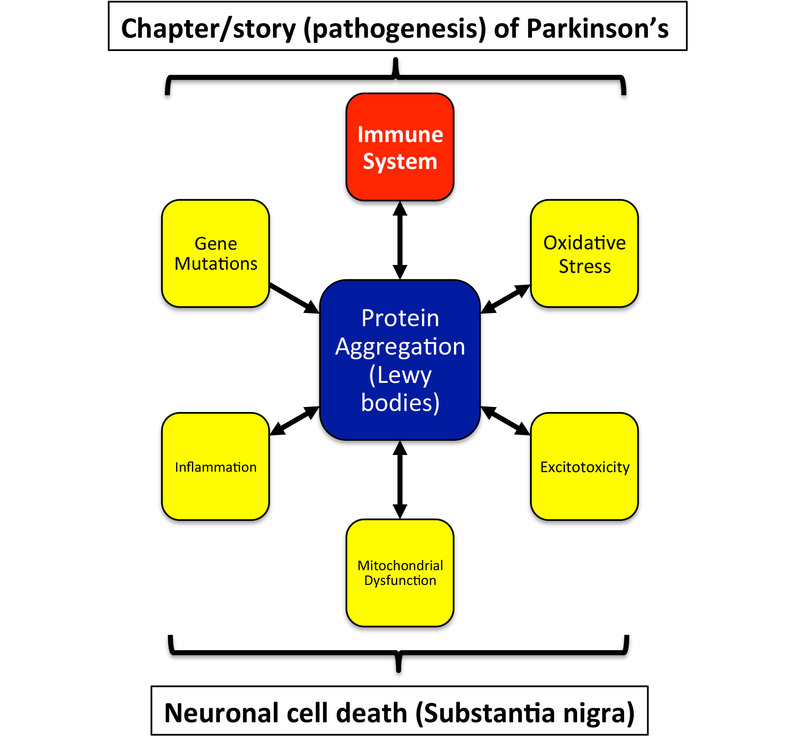 Immune System and Parkinson’s (Part 2) will describe the possible role of an immune system dysfunction that promotes neuroinflammation as a chapter/story in Parkinson’s. Blog, Books, Central Nervous System (CNS), Education, Health, Health and Healing, Immune System, Lymphatic vessels, Medical Research, Parkinson's, Parkinson's Disease, Science, Wellness, What causes Parkinson's?